The Action Alliance for Sustainable Bananas is a multi-stakeholder initiative. It is open at any time for more members. If you are interested in the work of the Action Alliance or would like to help shape it, please contact the project secretariat. Fyffes is the oldest fruit brand in the world. For more than 80 years, the Fyffes logo has stood for premium quality and a sustainable, respectful approach to nature and people. Fyffes is the leading marketer of organic and fair-trade bananas in Europe and the largest banana importer with the worlds’ most globally certified GlobalGAP cultivation partners. The cooperative partnership with the farms on-site is given high importance at Fyffes – with some growers, Fyffes has been working together for more than 50 years. The main activities of the Fyffes Group are the production, procurement, shipping, ripening, sales and marketing of bananas, pineapples and winter melons. Curious? For more information, please visit www.fyffes.de. The Global Nature Fund (GNF), a non-profit organisation, is committed to the protection of nature and sustainable management worldwide. The foundation works closely with local non-governmental organisations, businesses, authorities and municipalities. The GNF is actively involved in the ABNB and intends in particular to strengthen the conservation of biodiversity along the entire value chain. The seat of the foundation is Radolfzell at the Bodensee. The Kaufland Group operates more than 650 food retailers across Germany. It is based in Neckarsulm, Baden-Württemberg. 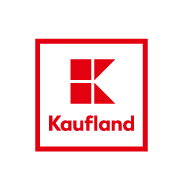 Kaufland is committed to the protection of people and the environment in a varitey of ways, including through a responsible design of the product range and the supply chain. Kaufland has already received several awards for its wide-ranging commitment, such as the Fairtrade Award in the “Retail” category or the Lean and Green Star, and has been awarded the Gold Award by the consumers’ initiative e.V. as a “Sustainable Retail Company 2015”. For 25 years, SÜDWIND e.V. has been committed to economic, social and environmental justice worldwide. The institute reveals unfair structures, making them public and provides opportunities for action through education and public relations, discussions with those in charge of politics or business, engagement in campaigns and network or consulting and accompanying actions for consumers.